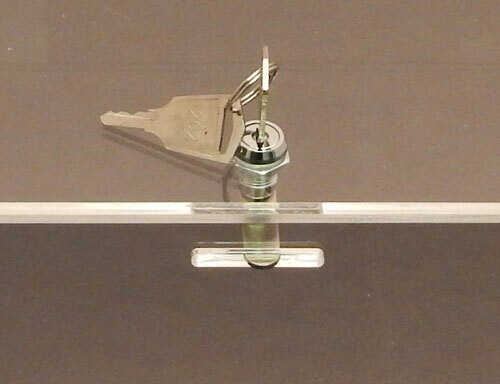 This is an acrylic tray with a locking lid. 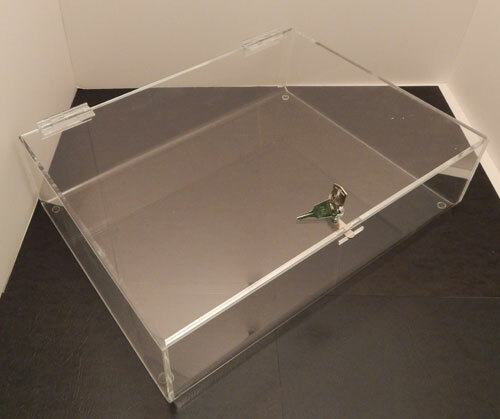 Make sure your products look their best by placing them in this sleek and durable clear acrylic tray. This tray features a hinged door with locking mechanism to provide easy access while still keeping your products safe from harm. Only the highest quality acrylic materials are used in the construction of these trays which guarantees a durable and stable product. The clear design allows your customers to see products from all angles and also fits in well with any current design aesthetic.